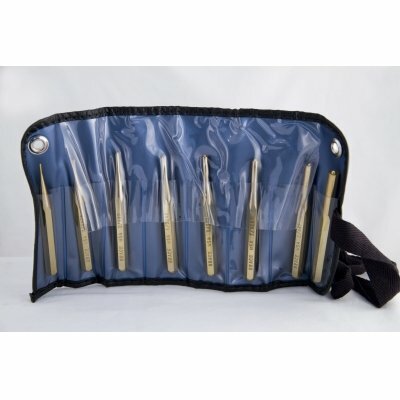 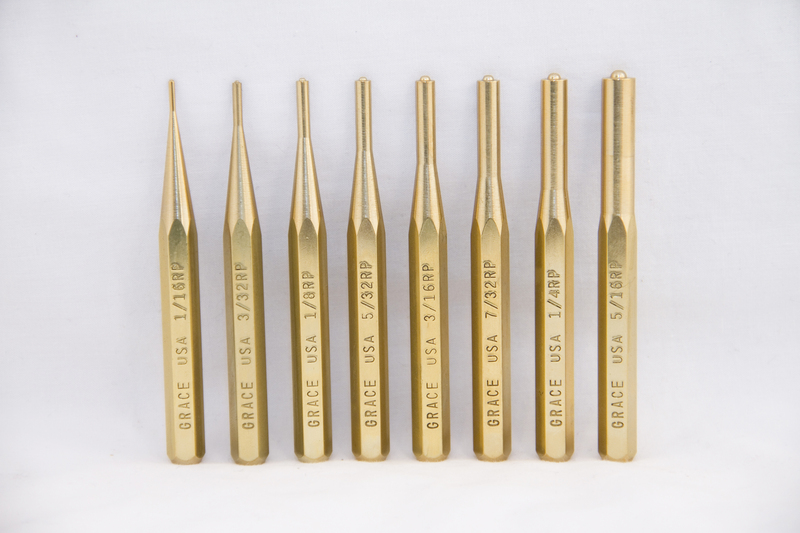 GRACE USA 8 Pc Brass Roll Pin Punch Set is made with utmost precision. 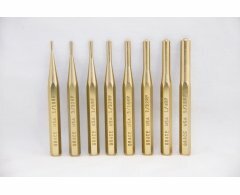 These brass roll pin punches are manufactured from high quality CDA 360 hex brass rod extruded in a mill in the USA and beautifully polished. 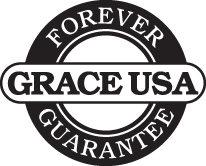 These punches are machine turned and designed for critical work were non-marring and non-sparking are of importance and carefully made to properly fit roll spring pins. 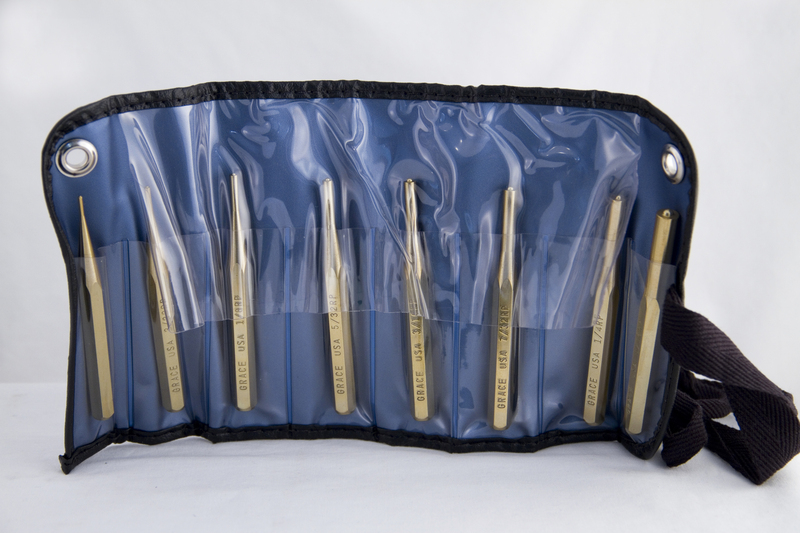 The set consists of eight brass roll pin punches sizes 1/16", 3/32", 1/8", 5/32", 3/16", 7/32", 1/4", 5/16" packed in a quality tool roll, also Made in the USA. 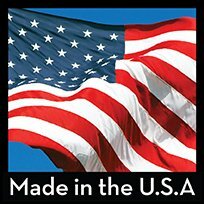 Entire set is 100% Made in the USA.